In the Highlands of Scotland on the Moray Firth and on the south shore of the Black Isle and just up the coast from Rosemarkie, there are a series of sea caves. Some of these are large and dry, and all are at least 3 metres above the high water mark. For the past 7000 years, due to isostatic recovery after the last Ice Age, the land has been rising, while the sea has receded. 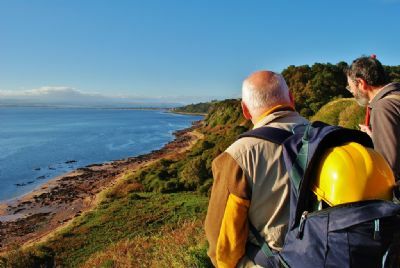 The old, raised shoreline can be seen round most of the Black Isle; Cromarty, Avoch and Rosemarkie all sit on raised beaches, as do the caves. Some of these are easily big enough to have been lived in during historic and possibly prehistoric times. And, until recently, they were largely unexplored. 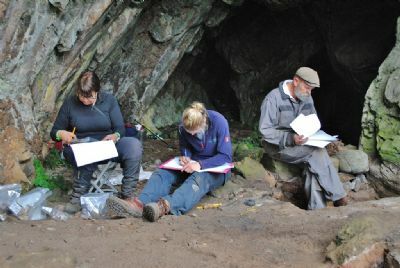 The Rosemarkie Caves Project is a volunteer-led project, assisted and advised by professional archaeologists. The group members are investigating the archaeology of the caves to ascertain who used them, and when. 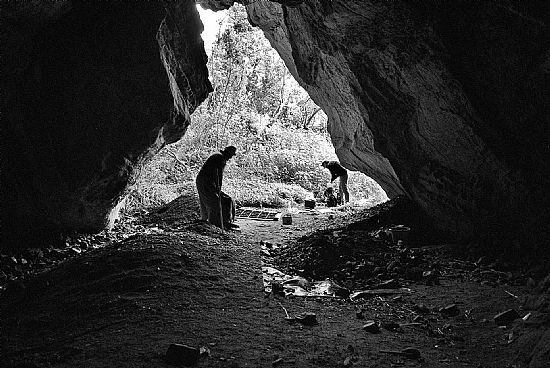 The evidence we have gathered so far indicates that a number of the caves had been visited or occupied during the 6th-9th centuries AD, with earlier Iron Age and later medieval activity in at least several of the caves. Indeed, most of the caves had clearly been used during the 18-20th centuries, representing traveller occuapation. We welcome volunteers of all ages and abilities. To find out more information about the project please use the feedback form or contact us.